My daughter Mika just sent me some pics of her baby pet Lucio, a shih tzu pup which we bought sometime last February this year. Lucio is my late birthday gift for her. Lucio had changed the life of everyone in the house. He becomes everybody's darling. My two kids really takes care of him so well and treats him like their little brother. Lucio never failed to entertain my kids. Whenever I chat with them and ask about Lucio, they always tell me that they are enjoying every bit of their stay in the house because of him. Lucio is so playful and so sweet. I had a good laugh when Mika told me that Lucio gets more excited everytime they got some friends coming over the house. Lucio will keep on barking as soon as he heard that someone is knocking from our gate. He would knock on the screen door, too and so excited to find out who is the visitor. When the visitor gets into the house, he will do some simple tricks just to call their attention. Mika is so fond of him and she's enjoying every bit of her vacation at home with her little darling. All I want to say is, "Thank you Lucio!" You have done a great job! I never regret bringing you into our lives. You really gave my kids a good company and I feel so thankful for having you. You are now a part of the family and we will always love you. This is the only summer tat we failed to go on an out of town get away. Last summer, we were at Ho Chi Min City Vietnam. We actually planned to go for another trip this summer but due to unavoidable circumstances, which is my sudden decision to transfer to a new company, we were not able to have a bonding activity for summer. I feel sorry for my kids who were expecting for one this summer vacation. If opportunity arises, perhaps, we could go for one next summer or perhaps before the year ends. 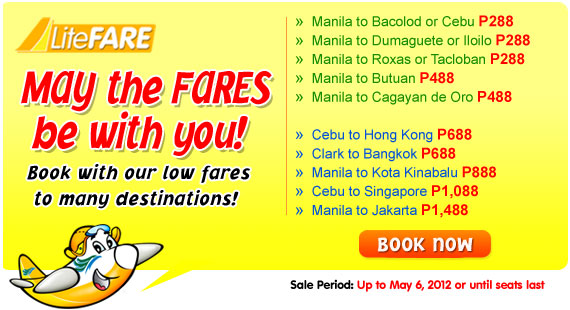 Talking about vacations, I just got this advisory from Cebu Pacific that they are offering this, "First Come, Fares Saved Promo". 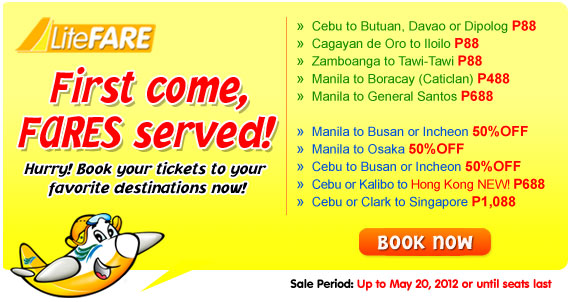 Promo seats are available for some local and international destinations. I was delighted to see that Clark to Singapore was priced at only Php1,088 while some local destinations are available for only Php88. I wish I have the luxury of time to travel but unfortunately not the case. If anyone of you would like to avail of these promo seats, you may want to book your flights early as this seat sale will only be up until May 20. I've mentioned on my previous post that I'm having a very hectic schedule now which made me become less active in blogging. How I miss visiting those blogs of my pals and reading new stuff about their daily lives. sad to say, I still don't have the luxury of time now. I hope soon, when everything gets stable here in my job. It's been a while since I've written down some personal thoughts on this blog. Today, I suddenly felt like writing another one. 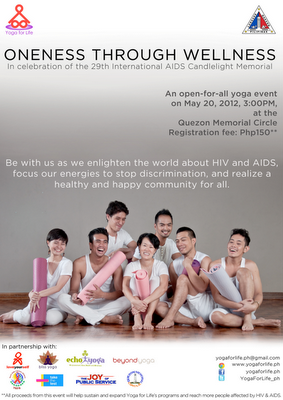 I guess it's very timely since I'm feeling gloomy the past few days. I'm exactly on my 2nd month in this place where I am now.... with my new job. There was a sudden shift of moods over the past few days, maybe because we are on the "setting up" stage and everything seems to be a mess. Needless to say, I'm going through the tough times. This thing is not new to me, I suppose, since I'd been working all my life and I've experienced both the thrills and adversities of being in the corporate world. 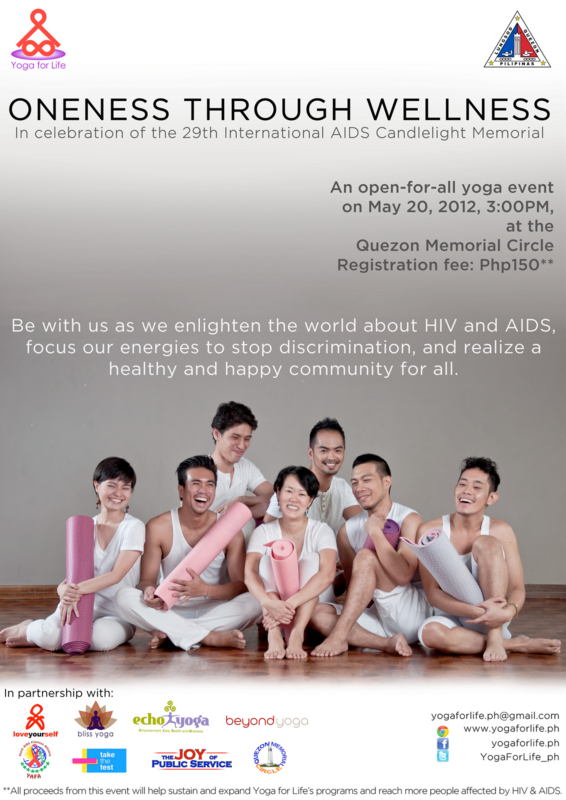 I've worked with people of different nationalities, different age groups and people of various cultures and attitudes. There were times when I experienced being on the top, likewise feeling very low. I could not exactly count the number of days that I cried and the number of days that I rejoiced. Just recently, I'm having some negative emotions. I'm too pressured at work. I'm beginning to lose my morale and zest over work. I have a very demanding Boss (hope he wouldn't be able to read this). He's a good example of a workaholic. Sometimes, I'm thinking that he is just being so passionate about his job but sometimes, I also think that he's over reacting. I could no longer consider myself an active blogger since I'm not able to write often on my blogs. I seldom blog hop, too. I just can't have enough time for everything. I feel so disgusted. Well, it wasn't the case the first time I came here. Sad to say, things are starting to change. I work longer hours now and not having enough time for myself. I felt so sad that I'm not able to send more messages to my kids the way I used to do before. Sometimes, I fall asleep while still having my working clothes on because I just feel so tired. "Never give up in whatever you believe in, whatever you aim, in the things you have prayed for...and most of all, never stop trusting God. For great things happen when we almost feel like giving up". During the tough times of my life, there's always something there to remind me to pick up those pieces and start all over again. I prayed to God to bring me to where I am now and I have to simply trust His decision. I'm still looking forward to solving all my problems. Work concerns, family concerns and other problems that's coming up one after the other. I need a break! I want to regain back my energy but I'm not sure where these things would lead me to. I just have to keep on trusting! I know my FAITH will save me. Have you already gone through your favorite destination this summer? 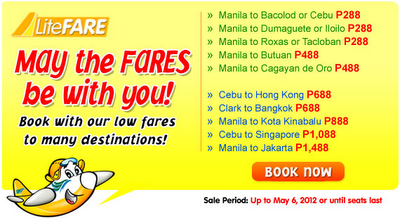 If not, then you still have a chance as Cebu Pacific is offering it's newest promo, "May The Fares Be With You". Lots of exciting destinations are up for grabs at very very low prices. Hongkong and Bangkok are within reach at P688 (one way) plus other exciting local destinations such as Bacolod, Cebu, Iloilo and Dumaguete are priced at only P288. What are you waiting for? Log on to Cebu Pacific website for more details.